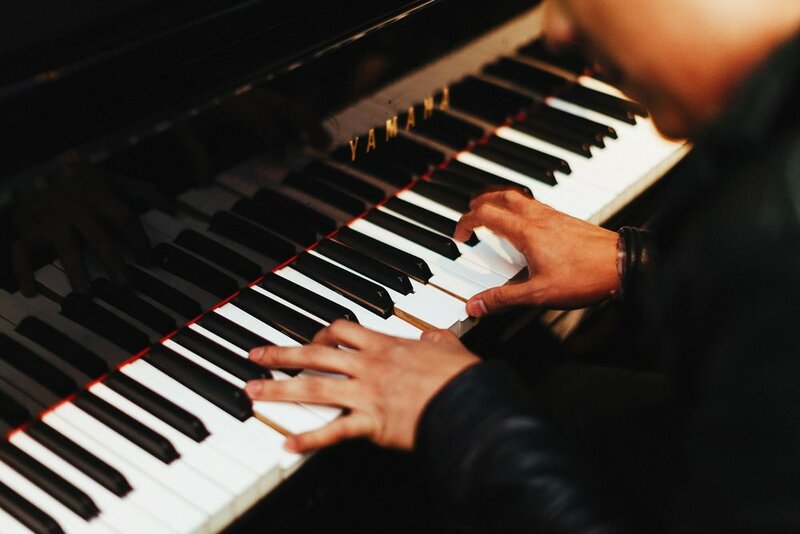 It has long been said that learning to play the piano, violin, trumpet or trombone - engaging in music lessons, has always been associated with better cognitive skills and improved brain power. Many would agree that it is a great skill to have, and in one way or another improves one's perspectives and senses. What does the science say? We list some known studies and uncover other observable benefits of music! Harvard Medical School says that just by listening to music, one's health can improve! This study posits that by listening to music while we are running, it can boost our performance by making the run feel easier by keeping our pace consistent. Music is also a great stress reliever, alleviating the pressure of living in a fast-paced urban environment. Listening to our favourite jam improves our moods. Some studies even suggest that one sleeps better by listening to calm and soothing music. Music has always been a social catalyst. People gather to make, enjoy and party to music. Rarely is music enjoyed solitarily. Musicians get to mingle around one another in settings such as choir groups, orchestras and bands. As music education is universal, musicians will not be bogged down by language and cultural barriers. Fan groups also play a critical role in connecting people with similar preferences. So, if you are well-versed with an instrument or you feel confident in your voice, find out local jam sessions or hangouts where you can showcase your talents and meet other likeminded people. Or, if you are a serious fangirl / fanboy of an artiste, do look out for fan clubs. You may be amazed by the people you meet in the fan club. Check out some of these local groups in Singapore. Sam Willows, The Steve McQueens, MICappella. Ever wondered how that musician on stage found that courage to perform in front of a crowd? Learning music creates an environment where students are constantly encouraged to perform, showcasing their compositions or performing work of the masters. Irrespective of the type of class that you had as a beginner, there is always a dedicated audience waiting to hear you perform - your teachers and family. Almost every musician started out by performing in front of their mentors. Mentors provide a safe environment for every musician to express themselves without being judgemental or bias. Here at D-Flat Studios, we have a panel of dedicated teachers who are ready to provide valuable feedback towards our rising talents. Practising an instrument demands a high level of discipline and patience. Musicians spend hours perfecting their technique on their instruments. This fosters deliberate practice, a very worthwhile endeavour that can be applied to the mastery of all skills. There is immeasurable joy when you receive cheers and encouragement from an audience after a wonderful and polished performance. Music promotes creativity in many ways. In his paper, Simone M. Ritter found that "Creativity was higher for participants who listened to ‘happy music’ (i.e., classical music high on arousal and positive mood) while performing the divergent creativity task, than for participants who performed the task in silence." (Ritter, 2017) Composers constantly need to expand upon their ideas to fashion a piece of music. Decisions such as instrumentation and emotional content need to be paired with creativity in order produce an innovative piece. At the performance level, performers get to interpret the written music from the composers as they see fit. Creativity and convention will play a big role as the performer performs a rendition of the written music. In some cases, composers would also let the performers improvise some content on their own (like in cadenzas) to bring out a different flavour to the same piece of music when performed by different performers. In summary, music is a language that has boundless possibilities. Above all, we are all wired to enjoy and engage with music. Watch how Bobby McFerrin ‘conducts’ the whole audience and gets them to sing on pitch so naturally in the video below. The science is clear and the data ample - music education enhances one's perspectives and enjoyment of life. It opens up new capabilities for the brain to experience, understand and frame their aural landscape. Newer PostGetting the Most Out of Your Music Practice! Older PostMeet our Teachers - Jazz Maestro, Dickson Goh!